Craig: Okay, so let me start taking some of the questions that are coming in and one relates to another one that I had, the question is, how do you motivate those with political influence over water to change for social and ecosystem benefits especially when the status quo benefits traditional users and uses and detailed with that was my question, I’d like you to try to answer to Junaid’s point which is: “Who are the political masters of water in California?” I think the participants question and that one are very closely related. I guess you have to answer the second one first. Peter: You know, that was an interesting comment from Junaid I thought, certainly, any time you want to change the system, it’s important to know who has the power? 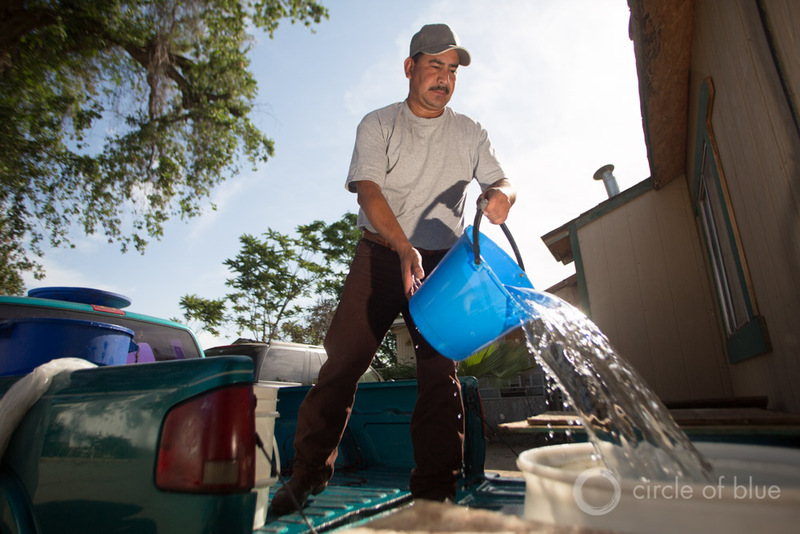 In California like many others, it’s complicated for water. Water is considered a public good, the state owns of the water and water rights are allocated to people based on the various factors but primarily hundred year old decisions about priority views whoever was there first has a first priority to use water and we allocate water rights. Water rights are allocated in very large quantity by some estimates we’ve given away five times the amount of water in water rights than Mother Nature actually provides us. Now of course everybody knows that I won’t get all the water that I have so called rights too, but the possession if you will of these water rights defines some of these question about power the people who are using water and have the priority rights to use water, get most of the water they want even during droughts in the lower priority water rights holders, the junior water right holders get shorted during short holes, they don’t get all of the water they want. But the cities also have a lot of power and increasingly, there are regulatory systems, laws, restrictions at the state or the federal or the local level that are providing some protections for that legal system and so, there is some political power if you will to natural ecosystems that at least protect a little bit of water for ecosystems and balancing these rights; the old historical water rights, the regulatory systems that guarantee water for ecosystems, the economic power to some degree businesses in cities, that is the part of the problem, we aren’t really going to change the system until we figure out how to balance all of those competing political and economic aspects of the confusions in California. Peter: Well no, not really. This actually is interesting, it is related to the last question about political power. I think that question probably comes up because when the governor need his emergency drought declaration and when the governor laid out some of the strategies that he was proposing the state and individuals as well focus on in terms of drought response. He focus really on the municipalities and he called on the cities of California to cut water use by 25% from the water levels used a couple of years ago. And there were some complaints, they say, look 80% of the water use by agriculture why aren’t you asking agriculture to cut water and in partly answer to that is that agriculture has experienced very significant cuts in water, deliveries of water to agriculture come from states system, they come from federal systems and when there’s not enough surface water as in a drought, deliveries to agricultural users are cut and many agricultural users have seen very significant cuts. Some of them down to zero of their traditional surface water rights and so agriculture is also bearing a significant burden. The idea that state could have a little more influence on what cities do, I think was partly behind the governor’s declarations. But the burden is being shared pretty wisely, now, that’s not to say that the burdens being shared evenly against the senior water right holders, they are getting almost the whole of the water they want and junior water holders sometimes are getting nothing. Some cities are having to cut back a lot because they’ve not done much in terms of conversation up until now. While some cities have a smaller allocation cut back that they’re required to meet. So there is some effort to sort of balance based on economics based on effort, based on water rights priorities to balance of little bit of shortages that California is experiencing. The only thing that I would add to that quickly is that ecosystems always seem to get the short end of the stick and rarely are protected to the degree that I think ecosystems ought to be protected during [Inaudible 00:07:00.08]. Craig: Yeah, with that reason report here projecting 18 species of fish that could face distinction with another year or two of this drought. So, you know, more than a year ago, I went to your offices to research a story of drought lessons from Australia, what could California possibly learn from the Australian experience on the big dry. I’m curious with that sometime to digest this now is California applying any lessons from Australia that you’ve been able to observe and related to that a question that’s come in here, what do you think of the California water action plan? Does that incorporate any of those things and what could we do to help these become a transformative piece of governance, that’s the question? Peter: Okay, these are all complicated questions and of course I’m sure everybody knows. One of the funny lessons from Australia or not so funny necessarily is that, it takes a long time, it takes a long intensive drought for people to really start to change what they traditionally do. Australia went through a drought and it was a one year drought, then it was a two year drought, and then it was a three year drought and they did sort of what California has done for the first few years of drought that is they modeled through, but that drought continued and by the end of that nine or ten year extreme drought what they called the Millennium drought, in Australia they were really doing things differently. I think we’re in the fourth year of a drought now, just checking, can everybody still hear me? Craig: Yeah, I think we just got a prompt that we’ve got ten minutes left. Peter: Okay, we are learning lessons from the drought, Obviously California and Australia are different kinds of systems but one of the lessons that I think we’re learning is that there is a role for markets and modifications to water rights there is a role to address some of those challenges, we’re just at the beginning however of rethinking and a having a conversation about how to reallocate and manage water rights and I think that maybe a lasting lesson for California, we’re going to have to do something different about water rights, they bought water in Australia for natural ecosystems and I think that helps protect to some degree, natural ecosystems they’re restructuring agriculture and I think California is restructuring agriculture and I think those are all common lessons that we’re going to have to pursue. Craig: This is a bit maybe tangential to the general theme of today’s call but since we have multiple questions on it and not a lot of time left, can you quickly summarize your position on the Bay Area conservation plan and the plans who build tunnels by passing California’s delta this is I know, maybe I’m not sure that everybody on the call even knows what we’re talking about here but of course it’s a big topic of conversation in California right now. Peter: Well, let me address this in a more general sense. The question really is, I think, what is the role of begin for structure like Aqueduct’s tunnel diversion systems stands reservoirs in addressing the kinds of problems that California or any region may have and the institute does not have any specific position on the tunnels themselves, but we do have the following position about water strategies and that is that we should do the smartest, most economically appropriate, most environmentally appropriate things first and if you ask the question that way, then before one would build a lot more expensive infrastructure in California, one would put more time and effort and money into water conservation and efficiency and basically taking the water that we already spend a lot of money collecting and treating and distributing and using it more efficiently in agriculture and in urban settings. We could grow more food with less water, we can meet our urban demands with less water and those kinds of strategies reduce the pressure on the system itself rather than figuring out how to become more efficient in taking more water out of the system, let’s become more efficient on how we use water. Similarly, the institute also argue that there are new supplies strategies like the water reuse that Larry talked about a new introduction. California reuses some of its waste water and could reuse the substantial amount more of its waste water and that would also reduce the pressure on taking more water out of the natural system. Craig: Okay, back on your responses, is it time a whole sale overhaul is sort of [Inaudible 00:12:17.20] is so do speak to more generalized water security planning. Peter: I would say yes, it’s time to overhaul the system. Now, that doesn’t need throwing out the existing system, I don’t think we can afford to do that, I don’t think we can politically do that. But I do think there are ways of modifying the system to approve it. To prove the efficiency of use, to extend more localized reuse, to move to a more decentralized kinds of systems, to protect naturally the systems, I think those are strategies we’re going to have to pursue with California but frankly I think that’s the strategy where going to have to pursue pretty much everywhere. Peter: Success in 2016 would be in agricultural sector that continuous to have very high revenue as they’re actually had during drought. But with less demand on addressing ground water. Success in 2016 would be not having our species that are endangered and threatened. Peter: Success in 2016 is a healthy economy, a healthy eco system and reduction in overuse of ground water, we’ve had a very strong agricultural economy even with the drought but it’s been on the back of over dressing ground water and I think that’s going to have to change. Success in the longer run is going to require fundamental changes in our institutions and our infrastructure I think and ultimately probably to get back to this initial question that we talked about, a change in who controls water and where the power over water lies in California. Craig: Let’s keep going here. How realistic is a decentralization of water distribution in California, I always thought of it as…well as you know, California’s hooked up to an enormous state wide pluming system right now, more localized reuse the question or asks the smaller facilities, in other words, could you apply the sort of distributed generation model of renewable energy to water? Peter: I think you can partly, I think without a doubt, California’s water future’s going to include more localized reuse, smaller facilities, I think we’re already seeing more local treatment of waste water and local reuse of waste water, cities are looking to improve their ability to reduce demands from outside of their own system, Los Angeles is expanding its internal storage capacity and its ability to provide more and more of its water locally, even though they will always be to some degree dependent on outside resources. So, I think we always have a big centralized integrated system but I do think there will also be more and more local reuse of water and local resilience. I think that’s a good thing. Craig: Okay, I think we’ve got about a minute left. We’ve entered the Gyro Gearloose, what I call the Gyro Gearloose space of the California drought we’re people are looking for, you know, all sorts of innovative technological sometimes wacky solutions, questions are asked, when are you going to shade balls, that these plastic balls that they’ve put in the reservoirs of Southern California to try to limit evaporation PR’s, stunt or actual solution? Peter: Yes, so I like the shade balls for those of you don’t know the City of Los Angeles, dump millions of millions of black plastic balls into some of its reservoirs over the last of couple of weeks. And it was a fantastic visual event, go Google shade balls, the ideas to cut evaporation from some of their reservoirs and to protect water quality in some of their reservoirs, I think it’s a bit of a PR stunt, I think it’ll probably be effective for the things they want for a small local impact, as I see the question, are there any help implications from leaching, apparently not, apparently the ball, the shade balls are made out of plastic that is food safe but I’m a little… I think it’s unlikely to be a major part of the solution but it is an example of the kind of thinking that people are pursuing in trying to find new solutions to the drought. Craig: Yeah, some other places have tried non toxic codings as well, they put on surface reservoirs, I’m not sure how bigger problem evaporation is in reservoirs but with the record heat that we’ve been having, I would imagine that it’s more of a problem than usual. Peter: Well actually, since we have so little time let me make one quick comment about that. There is increasingly in the scientific humidity a very clear understanding that the current drought has been influenced by climate chance, that higher temperatures alone have affected California’s drought and made it worst by increasing evaporation, by increasing the demand for water by crops and Craig knows there is a very interesting scientific discussion going on right now about the links between climate change and drought and I think we can expect droughts in the future to be increasingly severe under certain circumstances and one of the impacts of that is going to be more evaporation, we’re going to lose more of the water that we are already have because of higher temperatures and because of climate change. Oh, I see we have five more minutes, and so that I think is part of our future so we’re going to have to deal with not just the kind of extreme events that California have in the past, the droughts and I would note floods, but we’re going to have to deal with them on the context of a changing climate, that climate that’s changing because of human activities and that’s going to add a complication for water management. Craig: Yes, absolutely. Since we have a little more time, let me come back to question that I skipped over initially only because it seemed kind of similar to one you’d answer but how do we desilo water management and water planning in California, you might have actually seen these question on the board yourself between water agencies, federal agencies, state agencies, policy makers or working in their individual silos, is anything being done about that? Peter: Well, California is a big place and it’s a complicated place, we have 38 million people it’s the biggest economy in the United States of all of the States and it is siloed, we have federal agencies that and their 20 different federal agencies that have responsibility for water, from the science to the management side of things, we have state and local agencies, we have local utilities. Water management use it to some degree siloed but it is also integrated and I think we’re going to have to figure out how to breakdown a silo and how to work in a little more integrated fashion and I think part of the silo question also we’re going to have to get away from the fights that we have, you know, we often think about fights between the agricultural sector and the urban sector between agriculture and the environmentalists, between urban sector and the environmentalists but in fact Northern California farmers don’t agree with Southern California farmers and farmers on the East side of the San Joaquin Valley with senior water rights don’t agree with farmers on the West side of San Joaquin Valley with junior water rights there were lots of silos but unless we can manage water in a more integrated fashion, we’re not going to manage water sustainably, I think it’s a great question and it does get impart to the heart of the challenges we face in managing water in a place like California or frankly anywhere. Craig: Let me flip the Australia question around, because now we are probably, they are probably going to pull a flag here shortly and this will be a good way to end it. Name one thing, well two if you can think of them but at least one thing that California is doing right now that could be an example for other places facing the same situation. Peter: So, I think that the most remarkable success we’ve had in California in the last decade or so is the effort and the success we’ve seen in improving the efficiency of water use. Our agricultural economy is very strong still and we’re using a lot less water to grow more food and produce more revenue for farmers per capital water use is dropping and has been dropping for decades in California as we need our urban needs with less water and yet a potential to do even more with less if you will is enormous we could continue to reduce our water use and maintain our economic health and grow our population and if there’s any lesson that I think we ought to take and share is that only focusing a new supplies not the right way to think about water anymore, we have to think about the demands side of the equation and when we do the potential for improving water use efficiency is a enormous. Craig: Okay, we’re still going here, thoughts on the Godzilla El Niño or the potential battle of the blobs or any of this other weird interactions in the North Pacific with all of the warm waters that’s out there right now. What’s your precipitation outlook? Is a drought over this winter and can we like forget about all this and let’s talk about this until the next drought? Peter: I think we better assume that the drought will continue until the reservoirs are full and ground water is no longer over drafted and farmers and cities aren’t fighting any longer. We better act as though there’s not enough water to do everything we want because even in wet years, there’s none enough water to do everything that we want and if we where to think about managing our water in regular years the way we manage it during a drought, I think we’d be better off. Now it’s possible the El Niño will produce more water, El Niño’s are little ambiguous for California especially in Northern California where really matters, some are wet and some are dry but we won’t know until next year whether the El Niño has bailed us out partly about the drought but the truth is even if we get a full year of rain, we’re years behind, we’re going to have to assume that water is going to be short for the future. Craig: And that is the gong…thanks everybody. Peter: Thank you for the questions, thanks Craig.